Capturing your day with a relaxed and story-telling approach. By focussing on real moments and interactions your wedding photographs will tell the story of your wedding as it really happened. Less of the posing and more natural moments captured.  Mark and Laura are professional wedding, portrait and event photographers based in Bollington Cheshire, covering weddings in the Northwest, around the UK and Europe.